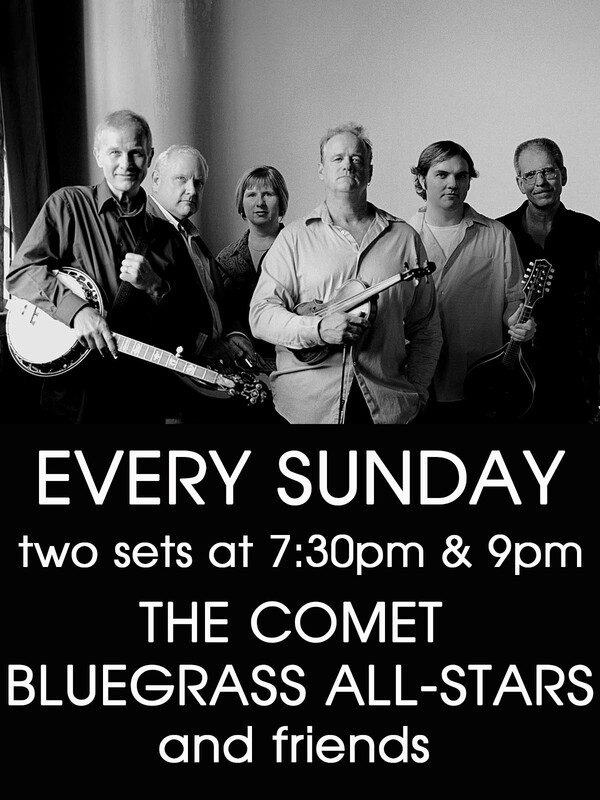 The Comet Bluegrass All-Stars (CBAS) assembled in 1996 as the Sunday night house band at The Comet. Since that time the popularity of the band has grown beyond the Comet lounge, opening for such national acts as Sam Bush, Blue Highway, Del McCoury, Peter Rowan and Ricky Skaggs. The Sunday night Bluegrass sessions at the Comet are informal and known to draw a diverse, “listening” audience, from small children to senior citizens. Those attending the shows find each member of the band accomplished singers and multi-instrumentalists in their own right, with the live combination of these players presenting an even greater sum than its parts, through amazing musical interplay and high lonesome bluegrass harmony.